The After Series… This is killing me. I just read all 5 books… full disclaimer. I may have gotten excited and read book 1 then 2 (back to back, who really needs to do anything but read for 14 straight hours anyways?) and then I found out about her “Midnight Sun” version called BEFORE which is technically book 5 *dives into the rabbit hole face first* so I could have read that one out of order, and then book 3 and I may have cried myself through the first half of book 4 to fall asleep happy by the end… but I digress. 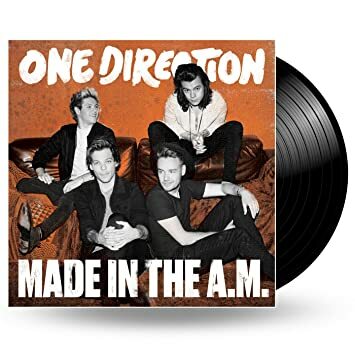 Now it is a known fact that I listen to Made in the AM on repeat. When I have long jobs (mowing huge fields) I listen to the entire 1D collection for the day. Ok, go back to whatever it was you were doing… sorry for the interruption.